In the above Strong's reference, we see that Jesus was the Greek translation of an original Hebrew name. One general concensus held for the actual name by which the Messiah was called is "Yeshua", a name meaning salvation . This then is how Messiah would have been addressed during the time He walked among us, and many today still do! Many of our Jewish brothers and sisters in the Saviour refer to Him now as Yeshua Ha Mashiach, and this is where the term originates. Shout "Hallelujah" the next time that you here it! In this realization, we can find a unity among the believers in the Saviour who gave His life for us all and rose again. 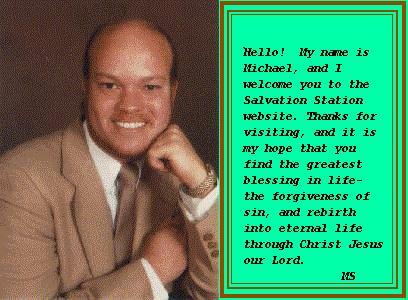 The two names are used interchangably here at the Salvation Station, in an effort to promote such unity. See the actual Hebrew name "Yeshua" used in Ezra 3:2 where the word "Jeshua" (the "J" as opposed to "Y" by translators) is found. Ezr 3:2 Then stood up Jeshua the son of Jozadak, and his brethren the priests, and Zerubbabel the son of Shealtiel, and his brethren, and builded the altar of the God of Israel, to offer burnt offerings thereon, as it is written in the law of Moses the man of God. Jeshua, the name of ten Israelites, also of a place in Palestine:--Jeshua.